First time in the history Moblink telecommunication of Pakistan has launched 4 mind-blowing cellular phones in market for customers with collaboration of Haier Company. This telecommunication has presented three astonishing smart phones and one feature phone for the people of Pakistan included multiple facilities. This telecommunication has organized an event in Islamabad for launching these mobile phones and the VP marketing of Mobilink has introduced these four exceptional cellular phones for customers. We have already conveyed the news before a couple of days ago of our readers that Mobilink is launching first time cellular phones for mobile users. We were watching electronic commercial of this offer on television from few days with name Jazz Aa Raha Hai X. 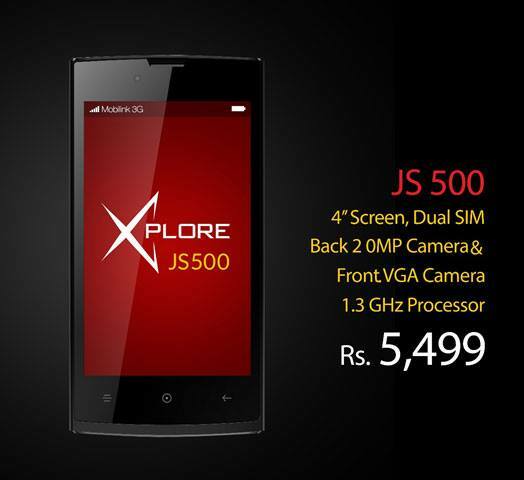 This network has launched four cellular devices with the name of Jazz X Phones and in future it will recognize J series mobiles of Mobilink. 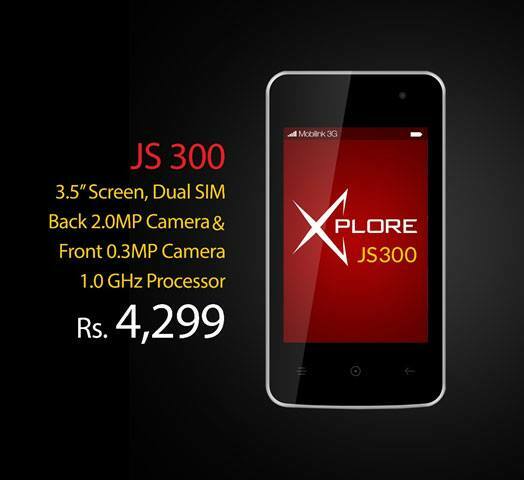 This telecommunication is providing multiple facilities for the buyers in these J-series mobiles. The details of Jazz X phones features are given as below. Display screen: 2.4 inches with QVGA. Rear Camera: 2 Mega Pixels. Front Camera: 0.3 Mega Pixels VGA. Other features: Wi-Fi, Bluetooth, Flashlight, FM Radio and Video Calling Service. Phonebook: Facility to ADD 100 contacts. Micro SD card: 16 GBs. Processor: MediaTek Dual-Core 1.0 GHz. Front Camera: VGA 0.3 Mega Pixels. Connectivity: Bluetooth, WI-Fi, USB 2.0 and Gyro. Processor: MediaTek Dual-Core 1.3 GHz. Rear Camera: 2 Mega Pixels with Flash and Recording. Front Camera: 0.3 Mega Pixels and front facing camera. Features: Bluetooth, WI-Fi, USB 2.0 and Gyro. Processor: MediaTek Dual-Core 1.2 GHz. Rear Camera: 5 Mega Pixels with flash light and video call recording. Front Camera: 2 Mega Pixels front focus camera. Connectivity: WI-Fi, Bluetooth, USB 2.0 and Gyro. Buyers will receive RS 800 free balance. Buyers will get 2GB 3G internet volume. The buyers of JS500 and JS700 both can avail free Facebook, Twitter and WhatsAPP facilities for next four months from purchasing date. 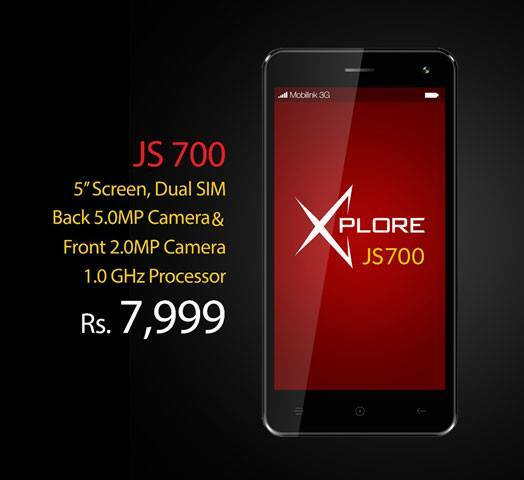 Customers can purchase Mobilink X phones from nearest franchise and customers cares center telecommunication. 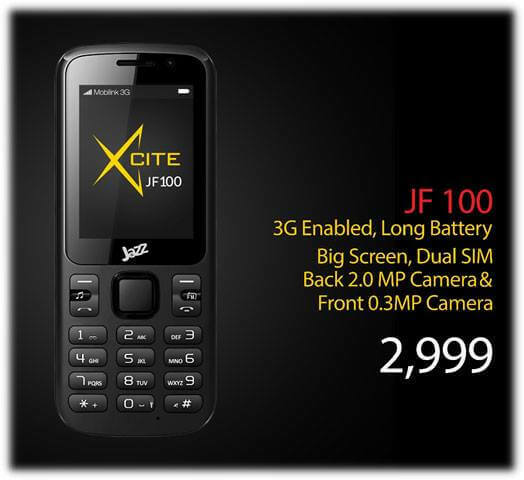 Buyers can also purchase these cellular devices from official website of Mobilink. All these cellular phones are available at there. Click here to get details about official franchises of this telecommunication. 18 months warranty is available of all launched cellular phones. All these phones have manufactured by Haier Company of Pakistan. These phones are not network locked for using other network service.